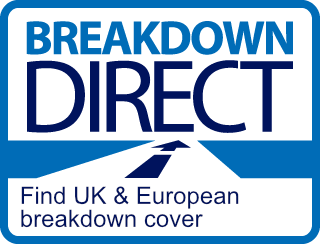 Welcome to Breakdown Direct - a better way to buy quality breakdown cover at great prices. Even if your vehicle is in good condition, you can never be absolutely certain you’ll have a trouble free journey. Flat batteries, punctures, mechanical breakdowns, are just some of the motoring problems waiting to happen. Whether in the UK or Europe, our 24-hour breakdown assistance service can help to get you mobile again. Simply select the right breakdown policy for you, buy online and you could be covered in minutes. It’s that easy! Or have a look around......... and thanks for visiting! We are really fussy about our breakdown cover, so ours is operated by AXA ASSISTANCE; one of the world's leading emergency assistance companies, with over 50 years' experience in providing breakdown rescue services. "Just a quick word to congratulate / recommend Breakdown Direct. I bought their European road assistance insurance prior to taking my Ford Focus to go skiing in..."
Whenever you set out on a journey in your vehicle, it is best to be as prepared as you can. Accidents and breakdowns do happen, so to protect yourself, your family and your car we recommend that you invest in some low cost 24 hour breakdown cover from Breakdown Direct.